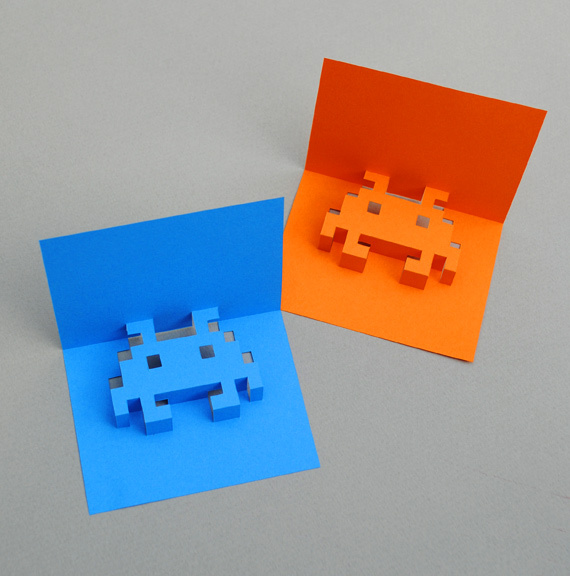 8-bit popup cards: the perfect project for gamers/nerds/etc. Not only are these cards cool, but if you go to this link, 8-bit popup cards | Mini-eco, you can learn how to make them yourself! This entry was posted in art, cool, fun and tagged 8bit, cards, cool, fun, gamers, gaming, geeks, nerds, spaceinvaders, videogames. Bookmark the permalink.